Today we would like to tell you about the current stage in development of Escape from Tarkov. The efforts of the team in the near future will be predominantly focused on solving issues and bugs, which requires careful work and utmost attention. The EFT project has advanced beyond the Beta barrier and its development now enters a new active phase. While collecting information from community support, as well as observing the activity of streamers and bloggers, we have decided to give up the planned update that was scheduled for release at the end of September, and take the time to resolve the major issues players are facing. In other words, we have decided to raise the priority of tasks that deal with performance problems and fix old and serious bugs, completely relying on working with community. At the moment, we have done many things that were not planned to be included into patch that was scheduled for release by the end of September. For instance, we’ve fixed problems with sound effects modified damage system for destroyed body parts, improved character movement physics, enhanced network synchronization and fixed matchmaker issues, made balancing changes in the player spawn system, loot, trading system, introduced various optimizing changes, including use of the RAM, made adjustments aimed at improving the gameplay quality and much more. Beside all that, we continue to add new features and content. In the next few updates, look forward to blind-fire functionality, buttstock handling, snaplights and underbarrel grenade launcher. Moreover, we plan to add a new set of weapon attachments, AKM, a new trader, equipment, items, and quests. Also, the second part of the Shoreline location is now in the final stage of production, and there is a new location already in active development - Interchange with large shopping mall. 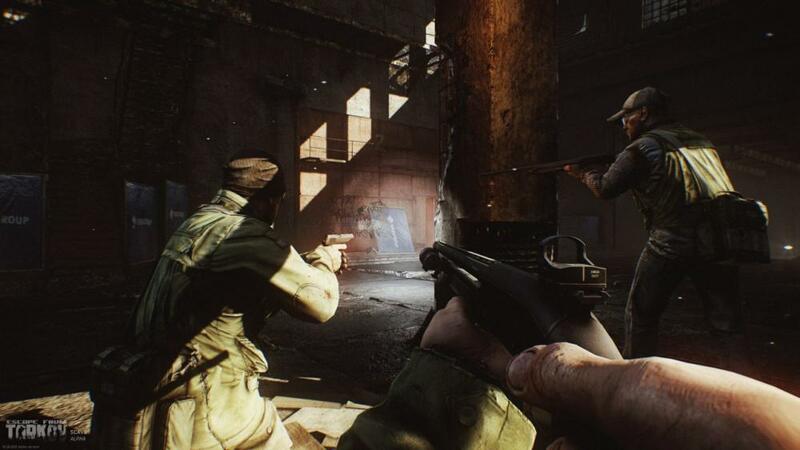 The main objective of the Escape from Tarkov developer team is to implement the gameplay as designed and to ensure its high quality not only in visual aspects, but also in terms of optimizing the performance and accuracy of network operation. Needless to say, we also haven't forgotten about cheaters, detecting and banning them on daily basis now. At the moment, about 1400 dishonest players were permanently banned by the in-game anticheat software. The next major stage for us will be the start of the Open Beta. Soon, we’ll reveal a more detailed description of what it is going to include.